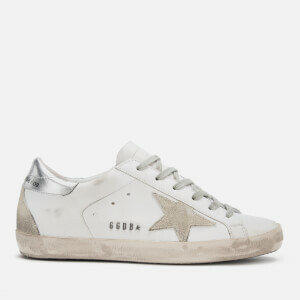 The Golden Goose Deluxe Brand 'Superstar' trainers merge modern styling with a vintage aesthetic. 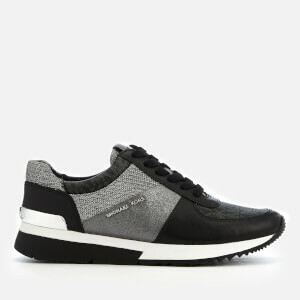 Glitter-coated leather uppers form a sleek, low top profile while a deliberately distressed sole adds a worn appearance. 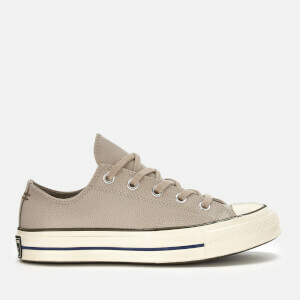 Designed with a rounded toe, lace-up fastening and branded tongue. 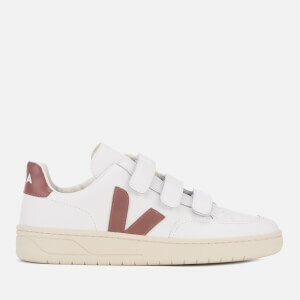 Finished with side eyelets, signature suede star appliqué and a padded collar with branded black leather panel.